Anne R. Allen blogs about the craft of writing and the publishing industry at Anne R Allen.com. She is the author of eight comic novels including the five Camilla Randall mysteries: The Best Revenge, Ghostwriters in the Sky, Sherwood, Ltd., No Place Like Home and So Much for Buckingham. “It’s certainly true right now that literary fiction doesn’t do as well as genre fiction for self-publishers. I think this is because literary fiction readers depend heavily on reviews from trusted sources like The New Yorker, the TLS, and the NY Times. I’m afraid I’m among them. I’ll take a chance on an indie mystery or thriller, but generally not a literary novel. If I’m going to invest my time in a weighty read, I want it to be carefully vetted. Unfortunately, literary fiction by amateurs can be a pretentious, unreadable mess and Amazon reviews are notoriously unreliable. This is even true of Big 5 literary writers these days. After all, Donna Tartt, whose novel The Goldfinch made such a literary splash last year, made her debut as a mystery author with The Secret History.The Goldfinch made such a literary splash last year, made her debut as a mystery author with The Secret History. In fact, if you think about it, a good deal of our classic literary fiction took that path as well. Shakespeare was the original mass-marketer; Jane Austen wrote Regency chick lit; and Dickens’ novels were the soap operas of the Victorian era. Those authors only got promoted to “literary” status when they proved to have some serious staying power. In fact, even living “genre” writers with a long shelf life can ascend to “literary” realms. Stephen King gets published in “The New Yorker” these days, and Elmore Leonard is spoken of in reverent tones in a lot of literary circles. David Gaughran is an Irish writer, living in Prague, who spends most of his time travelling the world, collecting stories. He is the author of the Latin American historical adventures Mercenary and A Storm Hits Valparaiso, the short stories If You Go Into The Woods and Transfection, and the popular writers’ guides Let’s Get Digital and Let’s Get Visible. He runs the publishing blog Let’s Get Digital and the Latin American history site South Americana, and his work has been featured in the Huffington Post, The Sunday Times, and the Irish Times. “Readers aren’t part of any establishment. Survey after survey shows that readers generally don’t know or care who has published a book, as long as it’s good. And this is reflected in the market too. Self-publishers have captured more than a third of the US e-book market in the space of five years. That’s from scratch, going up against multi-billion dollar corporations. So, it’s already happening. As soon as a reader switches to digital, self-publishers know they have a fighting chance of stealing that reader. As a reader and writer of literary fiction, I want to see more great literary work published and more writers of those books earning a fair share of the profits those novels generate. Sangeeta Mehta has worked in the book publishing field since the late 1990s. She currently consults on book projects for corporate and independent book publishers (with current and recent clients including Algonquin, Harlequin, Macmillan, and Workman Publishing), boutique literary agencies, and individual authors. She also mentors aspiring teen writers through the P/NW Boces and is a member of the Editorial Freelancers Association, BiblioCrunch, and the Center for Fiction. Down the road, most literary writers will likely follow the hybrid model, meaning that they’ll publish some books with traditional publishing houses and others on their own—if they want to publish frequently and consistently. Those literary writers who aren’t as concerned with when or how often they publish will rely exclusively on traditional houses, but they might not have as many choices as hybrid writers unless their sales prove strong. Literary readers rely heavily on reviews to make their reading choices, so I would encourage hybrid/indie writers to try to secure reviews from respected review journals like Kirkus or Publishers Weekly. The financial investment may or may not pay off, but coverage can lead to opportunities. A great case in point: When traditional houses wouldn’t bite, UK writer Paul Kingsnorth published The Wake, a work of historical fiction that takes place during the Norman conquest, on a crowdfunding platform called Unbound. After the Guardian called The Wake “a literary triumph,” it was longlisted for the Booker Prize. Not all writers will be so fortuitous, but a positive review can certainly open doors. “Literary writers and readers are already moving into the indie space. 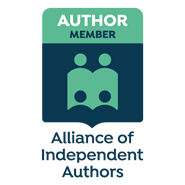 At the Alliance of Independent Authors, we have many members who work in niche and experimental areas that are not of interest to mainstream publishers, who are building a wide readership and deep following directly with readers. I myself write poetry and mainstream literary historical novels, published in the past by Penguin, but I consider my move into self-publishing to have been the best move of my writing life. Because digital publishing offers a global reach, literary writers can now make a living at their work, for the first time. To do so they will need to educate themselves about the realities of self-publishing and how to reach readers. Comment: What are your thoughts on the topic? Will literary writers and readers remain part of the establishment of traditional publishing houses, or will they eventually join the emerging tradition of indie fiction? Why or why not?